Pigmented inkjet print on rag paper; 27 x 20.75 in. Signed open edition. Magnolia Editions' latest print edition is a fundraiser which will help nonprofits working to rebuild Japan and dismantle nuclear power plants on California's coast. 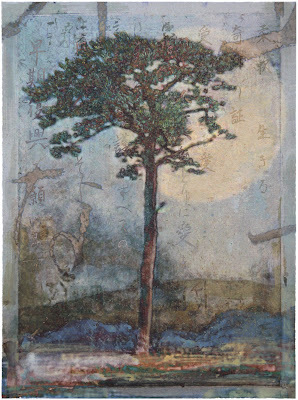 Donald & Era Farnsworth's Sacred Pine depicts a unique pine tree from one of the Japanese cities hit hardest by the tsunami; miraculously, this single tree was the only survivor from a grove of more than 70,000. To learn more about the composition, purchasing this print, and how your modest donation can help both locally and globally, please see this Press Release on Magnolia's website.